While some pet owners may have been dubious when it was new, most understand today that dental care for pets is an essential part of ongoing health care. Routine check-ups of your pet’s teeth and gums can help to identify many common health concerns before they become significant problems. A healthy mouth should have normal bacterial flora with minimal plaque build-up. However, an unhealthy mouth can have ulcerations on the gums and lips, receding gums, exposure to the roots, and a dangerous level of plaque build-up. Quality feline and canine dental care are available at your local veterinarian in South Coast through Anchor Animal Hospital. Our Dartmouth animal hospital has provided professional veterinary services to pets in the Southeastern Massachusetts and Rhode Island area since 1975. We are proud to have a team of veterinarians and vet technicians who work hard to expand their knowledge and experience with the latest treatments available for pets. It is estimated that dental or periodontal disease affects between 70-80 percent of cats and dogs by the time they are just three years old. We are committed to providing dentistry services to our pet patients as part of a comprehensive approach to veterinary care. Without proper treatment, a pet with unhealthy plaque build-up and root exposure risks absorption of toxins and bacteria through oral lesions. It can lead to issues with the heart, kidneys, and joints, creating a very dangerous situation that could have been prevented. Other Effects of Poor Dental Care – Without feline and canine dental care, pets can experience a whole series of adverse side effects from dental or periodontal disease. While bad breath is “expected” in dogs and cats, severe bad breath is something that should get checked by your veterinarian in South Coast. Pets are very good at hiding pain, so a painful mouth is something that may only be noticed or diagnosed by a trained veterinarian. Painful mouths can lead to difficulty with eating or drinking. It can also make your pet lethargic and cause behavioral issues due to the pain. At-home care is excellent and is highly recommended. The more you can do at home to brush your dog or cat’s teeth will help to slow down plaque build-up. Schedule an appointment at your local Dartmouth animal hospital to get a routine exam. This will help you to know where your pet is with dental health and what can be done to get them back on track. Dental cleanings and other dental services can be provided to repair damage and get your pet on the road to healthy teeth and gums. 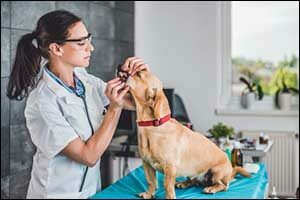 It is important to speak with your vet about what happens during a routine dental cleaning. For example, anesthesia is required to allow for a proper evaluation and all of the treatments that must be completed. Cleaning, polishing, and fluoride are just some of the things that can be done during a routine cleaning. More advanced dentistry for feline and canine dental care can require additional services. Your pet will continuously be monitored at Anchor Animal Hospital, using a cutting-edge multi-parameter machine. The machine tracks heart and respiratory rates, oxygen saturation, end-tidal CO2, blood pressure, and temperature. Our veterinary team also closely observes each pet patient throughout the entire procedure. Our veterinary team is very proactive in our training and education. We are dedicated to staying on top of the latest techniques and use state-of-the-art equipment for the services that we provide. One of the things that we do is to offer and encourage pre-anesthetic blood screening. We require this screening for senior pets who are age seven or older. This helps our team to be aware of any potential problems that could occur while under anesthesia so we can plan accordingly. Before any procedures, an individual anesthetic protocol will be developed based on your pet’s individual needs by our veterinarian. This helps us to provide proper pain relief while ensuring the smoothest recovery possible. Contact our office by calling 508-996-3731 to schedule an appointment or to learn more about dental care for pets at our Dartmouth animal hospital. We have a wide range of treatment options, preventive veterinary services, and advanced procedures available to help your pet get healthy and stay healthy throughout his or her lifetime. Call today and see for yourself why so many locals trust Anchor Animal Hospital in the South Coast area.